While the focus on operational performance is understandable, corporations should also be running traceability checks to identify where exploitative labour practices might be occurring in their supply chains. The intense shopping season should serve as a reminder of the need to monitor the behaviour of suppliers and protect working rights. Of course, forced labour is not just an issue during moments of intense consumer activity like Black Friday; it is a constant problem. The UN estimates that over 40 million people were trapped in slavery in 2016 alone, while around one in four victims are children. The private sector must take a leading role in ensuring there are fair working standards for all. The key challenge is identifying where labour exploitation is taking place. Multinational FMCG corporations often rely on a complex network of suppliers, meaning that forced labour practices are very difficult to identify. Further complicating matters is the fact that there is today no level regulatory playing field at the international level, allowing endemic issues to pertain globally. Fortunately, there are steps businesses can take. First and foremost, companies should show honesty and humility when discussing these matters. Any perception of a cover-up, or failure to tackle exploitative labour when flagged, will inevitably undermine consumer confidence in an organisation, hitting the bottom line. Make no mistake; the public cares about fair working standards, and businesses perceived to be benefitting from abuse will suffer. It is therefore essential to open the debate and speak about the complexity of forced labour. The Modern Slavery Act in the UK has led to a public awareness of the issue of modern slavery, providing proactive businesses with the opportunity to highlight concrete efforts, while recognising that these may be far from enough. Furthermore, training must happen from bottom to top, allowing employees to understand the issues, identify the signs of slavery and feel equipped to respond quickly and effectively. Tailored sessions for specific functions around human resources and procurement should aim at ensuring a systemic effort to screen and manage risks of forced labour. Corporations should also ensure that suppliers abide by a strict code of conduct when entering into business agreements, making it clear that forced labour will not be tolerated and terminating contracts when necessary. Use of technology enabling traceability and transparency is also key. Corporate leaders should harness the power of data analytics, using the Internet of Things to track supply chain processes and spot any unusual patterns of behaviour. 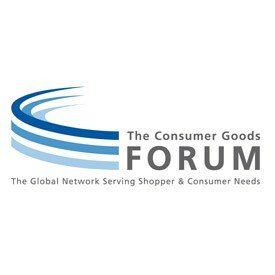 The Consumer Goods Forum is a leading advocate for action on forced labour, calling on its members, which include the largest companies in the FMCG sector, to take action on the issue. Its recent Forced Labour Priority Industry Principles stipulated that every worker should have freedom of movement, no worker should pay for a job and no one should be indebted or coerced into work, with CGF members agreeing to uphold these values in their own extended operations and throughout their supply chains. At the recent Sustainable Retail Summit, forced labour was a dominant theme, and speakers from the world’s largest companies agreed on the need for better traceability checks and applying tougher sanctions to corporations and suppliers that breach the rules. While exploitative labour practices are not going to disappear overnight, businesses can take a lead in tackling the issues and ensuring fair working rights for all. As Black Friday approaches, let us remember the need for supply chain transparency and hope for an end to forced labour. However, only by working with governments and NGOs, and through the power of collective action, can we deliver the long-term solutions we need.